Available from Assorted Bag Closer Services , Union Special 2200A bag closers are ideal for use with numerous materials including bunker tarps, produce bags, shade cloth, and geofabrics. Union Special 2200A bag closers work at speeds ranging from 1200 to 1700spm and are capable of stitching 3mm to 9mm. These bag closing machines also feature an automatic thread cutter and operate with 2 threads. Union Special 2200A bag closers are moderately lightweight and weigh 5kg. 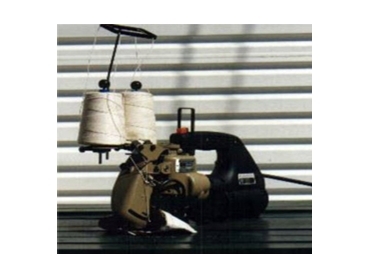 More information on the range of bag closing equipment, as well as spare parts, needles, thread, belts and back up machines is available from Assorted Bag Closer Services.